Men's 1960s mod linen blend 2 button, single breasted pinstripe blazer jacket in navy. The retro textured double stripe detail works perfectly with the two tone navy blue ground. Retro marble-esque button with red edging add a cool visual twist. Classic notch lapel. 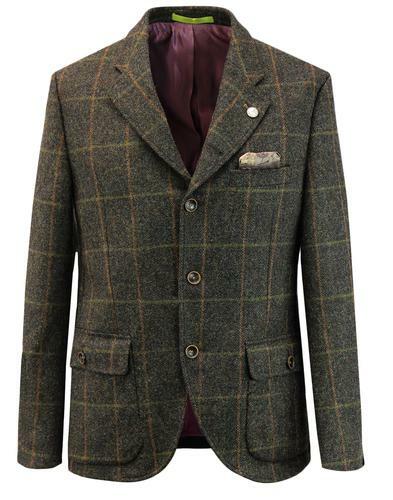 The jacket features a pictorial and tonic sheen combination lining bought together with hints of mustard yellow and purple piping. Three button non-working cuffs, side vents. 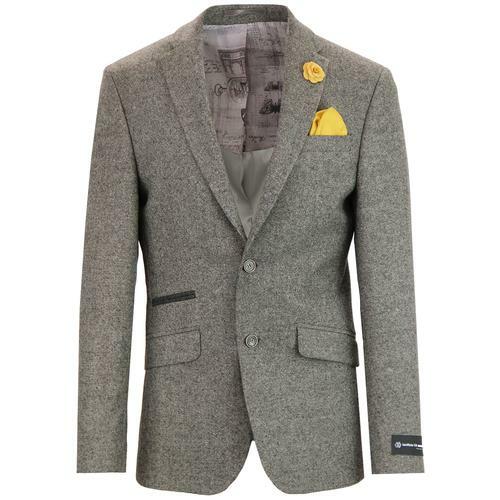 The jacket is finished with contrast jetted right side ticket pocket for a stylish Teddy Boy 50s vibe. 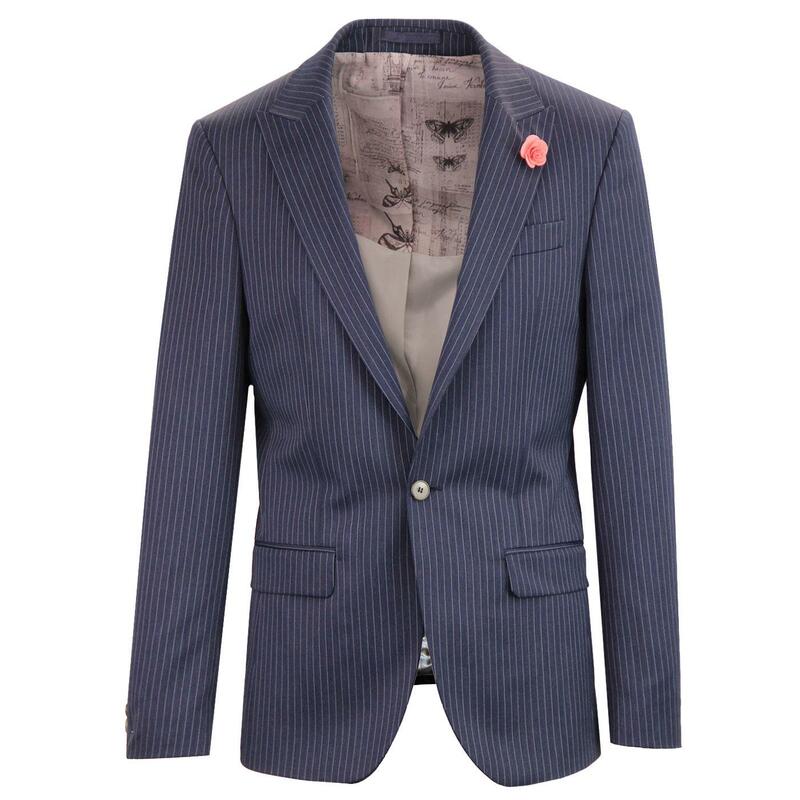 You can team this linen blend pinstripe blazer with the matching 5 button V-neck waistcoat to create an awesome 60s mod outfit. 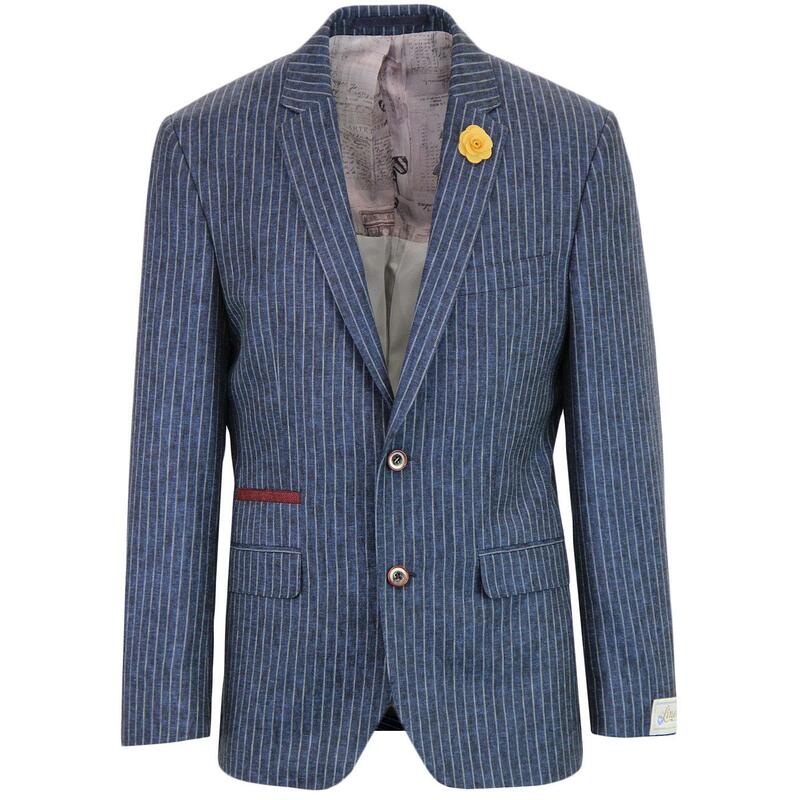 Men's mod pinstripe linen blend blazer jacket. 2 button, single breasted fastening. Right side jetted ticket pocket. Retro textured buttons to fastening and non-working cuffs. Stylish dual fabric lining with colour pop piping trims. Composition: 50% polyester, 50% linen. Lining: 100% viscose. lining 2: 100% polyester. SKU: S19137JC Scott Pinstripe Blazer Jacket.